동인지문오칠은 고려말기 문신이었던 최해(崔瀣,1288∼1340) 선생이 고려시대 선비들의 뛰어난 시문을 뽑아서 펴낸 시선집인 『동인지문오칠』가운데 남아있는 권 7∼9이다. 최해는 최치원의 후손으로, 문과에 급제하고 원나라의 과거에도 급제하는 등 학문에 뛰어났다. 성격이 곧고 강직하였고, 벼슬에서 물러난 후에는 책을 쓰는데 힘써 『동인지문』외에도 문집으로 『졸고천백』2책을 남겼다. 『동인지문』은 최해의 『동인지문서(序)』에서 시를 「오칠」, 문을 「천백 」, 변려문을 「사육」이라 하고, 이를 총괄하여 그 제목을 『동인지문』이라 하였다. 동인지문의 차례는 「오칠」, 「천백」, 「사육」의 순으로 구성되었고 총 권수는 25권으로 되어 있다. 『동인지문오칠』은 신라 최치원으로부터 고려 충렬왕 때의 오한경, 홍간 등 시인들의 오언시와 칠언시를 선집하고, 비교와 해설을 붙여 고려말에 간행한 것이다. 이 『동인지문오칠』은 완질이 아니고 현재 남아있는 것도 전·후반부가 없어진 것이 있기는 하나, 『동인지문오칠』로는 처음 발견된 것이어서 「오칠」의 구성형태를 살필 수 있는 자료일 뿐만 아니라 고려판각본으로서 고려문인의 시가 수록되어있는 만큼 문헌학, 한문학 연구의 자료이며, 인물에 대한 전기자료로서의 가치 또한 높이 평가된다. 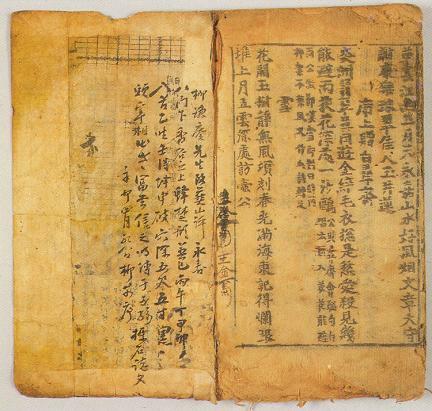 As a collection of outstanding poems written by Goryeo scholars, Donginjimun ochil (Collected Poems of the Goryeo Dynasty) was compiled by Choe Hae, a civil official of the late Goryeo Period. Choe Hae was a descendant of Choe Chi-won, a distinguished scholar of the late Silla Period, and was well-known for his uprightness and erudition. He passed the state examinations of both Goryeo and Yuan China and served in various official posts in Goryeo. After resigning from official posts, he devoted himself to writing and compiling books. In the preface of this book, he called poetry ochil and prose cheonbaek and referred to the four-six verse as sayuk. 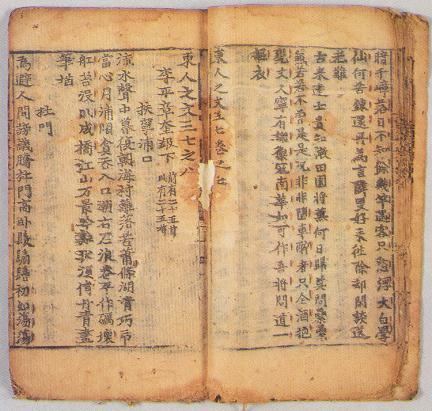 Donginjimun ochil, which consists of 25 volumes, is compiled in the order of ochil, cheonbaek, and sayuk. 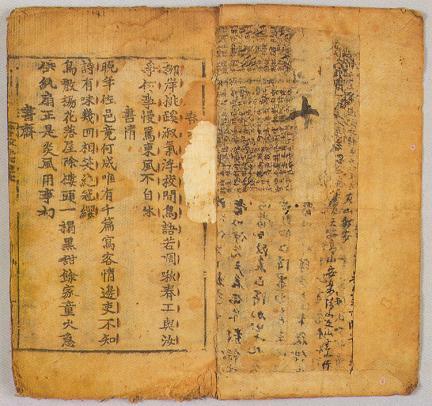 Printed with woodblocks in the late Goryeo Period, Donginjimun ochil compares and explains the selected pentasyllabic and heptasyllabic poems by famous poets between the periods of Silla and Goryeo, including Choe Chi-won of Silla and O Han-gyeong and Hong Gan of the late Goryeo. Though many of the volumes are now gone, the collection is historically important as the first one discovered of its kind. 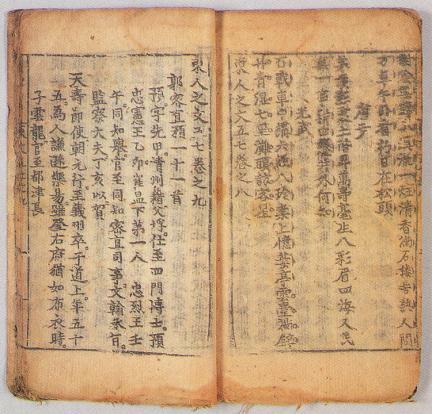 It also serves as valuable material in the study of bibliography, Chinese literature, and biographies of the period as well as the composition of various poems.